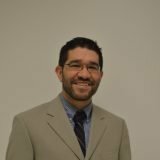 Francisco is an ordained minister in the PCA and serves as the Assistant Pastor at both Hershey PCA and Trinity PCA. He oversees Shepherd Group ministry and Sunday School education, and leads worship. Cisco earned his M.Div. at Liberty University and is working on his Doctor of Ministry with Knox Theological Seminary. Before working at Hershey PCA, he served as a chaplain resident at Hershey Medical Center. He also pastored and planted churches in New Hampshire. He and his wife, Kati, have eight children, and enjoy watching their Super Bowl champion team, the Philadelphia Eagles.